Combining Dubrovnik’s wine empire with some of the finest stonework on the entire cost, this full-day excursion from Dubrovnik packs the finest of the region into one memorable experience. Get away to Pelješac peninsula and Korčula island and grasp the essence of the local history, heritage, gastronomy, and ultimately, living. Travel northwest of Dubrovnik and arrive to your first stop in just under an hour. 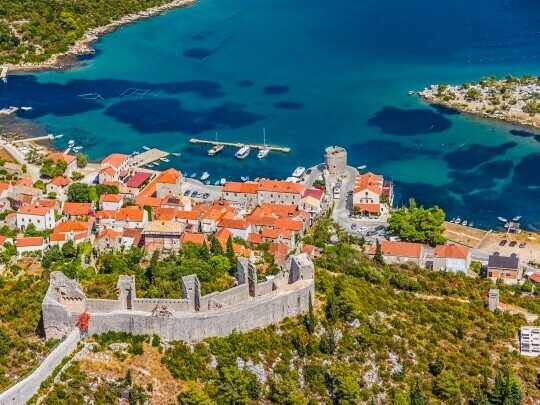 The petite town of Ston, the gateway to the Pelješac peninsula, is known for the majestic curtain of medieval walls rising above the red-roofed settlement. 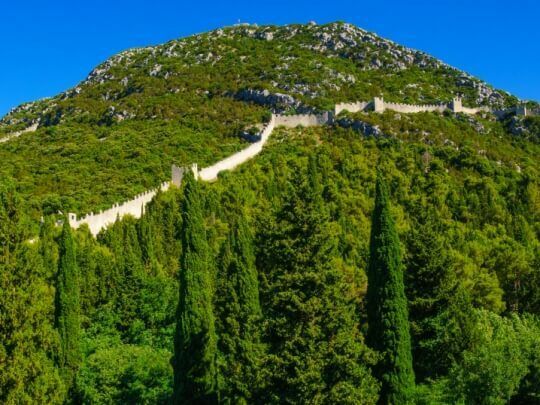 One of the longest in the world, the walls shelter historic salt pans, glance over at Mali Ston oyster beds and guard the entrance to Pelješac. 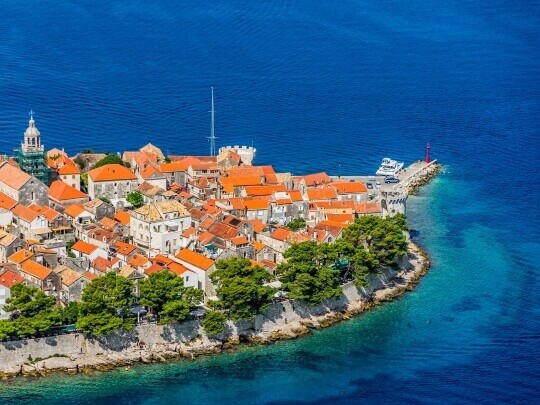 You’ll get to see a large part of the second largest Croatian peninsula as you drive to Orebić to hop onto the ferry to Korčula. 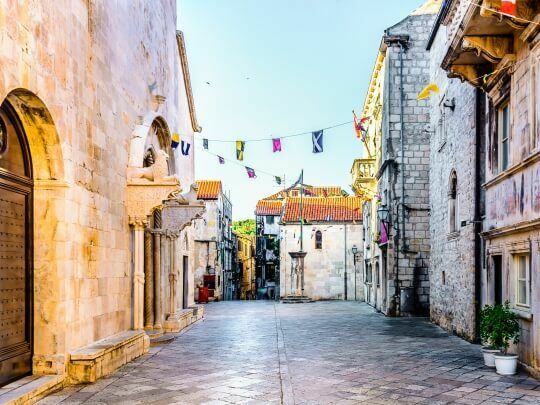 Its gem, Korčula Old Town, with its walls, palazzos and exquisite churches and the Cathedral might remind you of Dubrovnik. This is because Korčula bred some of the finest stonemasons around here and what you will be seeing around the Old Town are samples of their finest work. 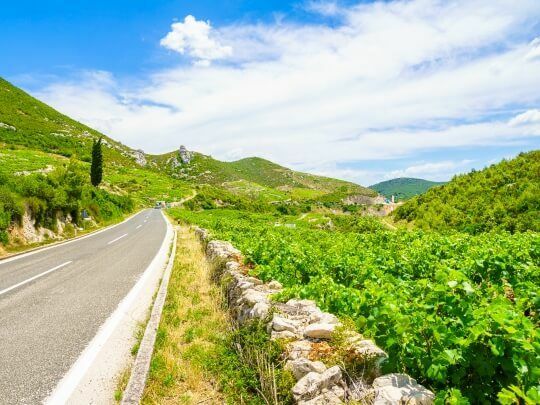 Explore a bit on your own, then head back to Pelješac for a proper finale to your tour: a visit to one of numerous family-owned wineries for a local wine tasting. Živjeli!